The aim of this study was to evaluate the utility of added DWI sequences as an adjunct to traditional MR imaging in the evaluation of abnormal placentation in patients with suspicion for placenta accreta spectrum abnormality or morbidly adherent placenta (MAP). The study was approved by local ethics committee. The subjects included pregnant women with prenatal MRI performed between July 2013 to July 2015. All imaging was performed on a Philips 1.5T MR scanner using pelvic phased-array coil. Only T2-weighted and diffusion-weighted imaging (DWI) series were compiled for review. Two randomized imaging sets were created: set 1 included T2-weighted series only (T2W); set 2 included T2W with DWI series together (T2W + DWI). Three radiologists, blinded to history and pathology, reviewed the imaging, with 2 weeks of time between the two image sets. Sensitivity, specificity, and overall accuracy for MAP were calculated and compared between T2W only and T2W + DWI reads. Associations between imaging findings and invasion on pathology were tested using the Chi-squared test. Confidence scores, inter-reader agreement, and systematic differences were documented. A total of 17 pregnant women were included in the study. 8 cases were pathologically diagnosed with MAP. There were no significant differences in the diagnostic accuracy between T2W and T2W + DWI in the diagnosis of MAP in terms of overall accuracy (62.7% for T2W vs. 68.6% for T2W + DWI, p = 0.68), sensitivity (70.8% for T2W vs. 95.8% for T2W + DWI, p = 0.12), and specificity (55.6% for T2W vs. 44.4% for T2W + DWI, p = 0.49). There was no significant difference in the diagnostic confidence between the review of T2W images alone and the T2W + DWI review (mean 7.3 ± 1.8 for T2W vs. 7.5 ± 1.8 for T2W + DWI, p = 0.37). 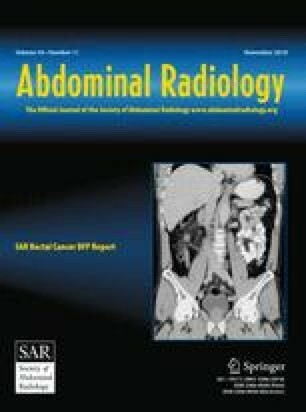 With the current imaging technique, addition of DWI sequence to the traditional T2W images cannot be shown to significantly increase the accuracy or reader confidence for diagnosis of placenta accreta spectrum abnormality. However, DWI does improve identification of abnormalities in the placental–myometrial interface. Retrospective study, hence no informed consents were obtained.